On Thursday, Feb. 3, I'll be at the Grove Family Library in Chambersburg, Pa., helping celebrate its fifth anniversary. The library has a wonderful lineup of events for the entire week. Other authors include Dody Myers, Eileen Graham, Ken Gibble, Valerie Malmont. Oh, and fellow Susquehanna Writer, Mike Silvestri will be there too. Mike's an eloquent speaker as well as writer. It should be an evening of fun, some insights into local authors, and maybe a little cake. Today with much anticipation and pleasure, Alex Cavanaugh is discussing finding your voice on my blog. Alex is the successful author of CassaStar, a newly released Sci-Fi novel garnering outstanding reviews one after the other. For many beginning authors, finding their voice can be a challenge. Sometimes even understanding it can be difficult. Alex will help clear up your doubts and he'll answer any questions you have. You may also want to check out his blog. He always has something going on. I've been following some writers gone indie, and after reading some interesting blogs such as this, decided to re-release some of my previously published titles. Hi Everyone: Hope you all had a great holiday season. Just wanted to let you know about the Greater Lehigh Valley Writers Conference coming up March 24 - 26. Jonathan Maberry will be holding a workshop on interview technique. He's always great. In addition to all the other workshops and editor/agents appointments, Donald Maass will be there to conduct a pre-conference workshop on "Writing the Breakout Novel" and "Fire in Fiction." I heard him last year at the International Thriller Writers conference and he's terrific. It is expensive ($150), but I think could be money well spent. And don't forget, the Pennwriters Conference is mid-May this year in Pittsburgh. They have a great lineup as always. And -- The Pennwriters Fourth Wednesday Writers Group continues to slog along with a fun bunch of quality critiques. We are meeting now at the Camp Hill Borders from 6-9 pm. The next meeting is January 26th. Hopefully the snow won't mess us up. Hello, I also dwell in Pennsylvania. Married and have worked at a weekly newspaper for 17 years. I'm a mystery, suspense, romance author and always include humor in my stories. 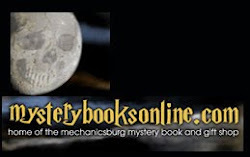 I have two ebooks published featuring the Holmes Mystery Series and several print books entitled the Woodmont Mystery Series, those are available at Amazon. As soon as I finish my current WIP, I'm creating a new series. 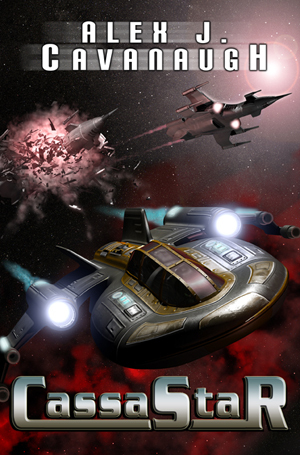 Here is the cover art for my next book, Shadow's Lure. I want to thank artist-supreme Michael Komarck for another outstanding cover. I've been told this is still a work in progress, which blows my mind because it's so terrific already. I hope you'll pop over to my blog and check it out. I've posted six sentences from my contemporary fantasy, Surfacing. There's a link back to the Six Sentence Sunday site, too, so you can check out other great participants. Nothing makes me put down a book faster than card-board characters. If they're so normal or so cliche, how can I care what happens to them. Characters makes a story memorable. So how does a writer give their hero or heroine depth? A hero can't be all-knowing or all powerful. They must have vulnerabilities and often that weakness is their secret. Perhaps only one other character, perhaps the antagonist, knows this secret allowing for all kinds of difficulties. That secret could be a past sin or shame, something that makes the hero sad, frightened or embarrassed. This secret can drive the character toward some goal or provide the motivation for his actions. As the character takes action towards his goal, the more specific the goal the better, his secret will color his choices, his relationships and slowly reveal his weakness. And what better way to hone the character but to put his tight spots. He'll reveal himself through how he acts when he's desperate. Frustration will show his character so keep the pressure turned on high. Some characters earn a reader's interest by their quirkiness or contradictions. Can they be cruel and funny? Can they be shy but also rude? In my new release, Beyond the Gate, Book #2 in The Futhark Chronicles, Cage's secret is revealed to all though he doesn't realize those who love him understand his vulnerability. Cage's birth mother abandoned him when he was a child. He believed he's unlovable and constantly risks his life in an attempt to be earn that which he secretly thinks is unattainable. Reviews for the first book in this series, The Keepers of Sulbreth, have the highest praise for my characters. I hope you'll try them out. What character have you read that you find unforgettable? What made that person do memorable? As I cleared off bookshelves over the holiday break, I uncovered a lot of books of the do-it-yourself variety. At one time, all of them had looked promising to me, but the cold, hard reality was that I didn't have enough shelf space to keep all of them. And so I needed to devise a plan for tackling this pile that would enable me to determine which books would prove themselves worthy of returning to the limited shelf space in my living room. Since most of the books were non- fiction, I gave each book ten minutes - enough time to peruse the table of contents and, since I was on a time schedule, dive into whatever looked most interesting, rather than whatever came first. The books that sated my appetite in ten minutes or less would be donated. Those that merely whetted my appetite in that time frame would go back onto the shelf, a bookmark inserted where I had left off. It occurred to me belatedly that an agent or editor approaches our lovingly created manuscripts in much the same fashion. As writers, we are sometimes offended by this, wondering how anyone can possibly make a decision based on only the first few pages of our cherished manuscripts. But as readers, we do much the same thing. Perusing the stacks in a well-stocked bookstore or library, we give each title only a few moments of attention before deciding whether or not to invest our time in it. If we miss, choosing a book that does not live up to our expectations, we have invested only our time. An editor or agent, however, stakes his or her reputation - as well as the reputation of his or her employer - on every title he or she backs. Talk about pressure. So what's an aspiring writer to do? Exactly what the writing magazines tell you. Put your best work on the page, no matter how many tries it takes. Before sending your work to any publishing professional, make sure it is read - and critiqued - by fellow writers, and then revise it again. Only after you have completed this process should it land on a publishing professional's desk. Anything less puts your reputation at stake, and jeopardizes any chance you may have at that coveted shelf space. In most good medieval fantasy books there is some amount of action. You know what I mean. Fighting, battles, wars, sword duels, bows and arrows. And in most books not only the bad guys suffer an injury. Treatment of injuries in medieval times would vary, perhaps the wounded's health would depend on herbal treatments or magical doctoring. Either way, people receive some kind of medical assistance. I'll save the medicine post for a later discussion but for now I want to talk about the pain of injuries. Today I had surgery on my ankle(old basketball injuries piling up). The minor operation became a bit more when the surgeon discovered the damage was more than expected. More fixing up equals more post-op limitations and pain. It hurts. As writers, we love, or at least now we should, torture our heroes and heroines. Emotional pain can be the best but sometimes in those fight scenes they get hurt. Most of haven't been sliced by a sword or shot with an arrow so we don't exactly what if feels like. When I lay in the pre-op yesterday, I reminded myself to hold onto the feelings, emotional and physical of waking after someone took a knife to my body. I'm doing some major edits on the rough draft of my current WIP. My hero suffers. A lot. I'm not a hero and I wakened with groggy half-formed memories of nurses talking to me, moving me and the painful lump wrapped around my ankle. I swear my bones hurt on the inside and I could feel it. It felt like the surgeon had left a big thick hunting knife sticking in between my bones. I don't do pain meds other than ibuprofen or Tylenol so I experienced the real deal. I'm not brave. I only get very ill with narcotics. Now if I were one of the warriors in my books and someone stabbed me and then another person stitched me up, I guarantee I would need some magic to get me back into the fight. We stab our characters, let them take injuries that would fell lesser men or women. But we must be careful how unrealistic it is. I'm sure many of us have watched shows or movies where a character was shot and yet kept going to perform more incredible heroic tasks. Or in the case of the antagonist perhaps he continued to wreck havoc and deal murder. But could they? Wouldn't the pain stop them? Wouldn't the blood loss? If a thigh is sliced horribly by a sword or knife the muscles would be badly damaged. Could the joint at the knee or hip even move? I've had multiple knee injuries and of course, the old weak ankle. It's not only painful to walk on certain injuries but physiologically impossible. So when your hero overcomes his pain and steps back into the fray, make sure it's realistic. Or put the magic to use as I do a few times in my current WIP. I wish I had a little of that magic for my ankle. So can you name a TV show or a movie where a character continued to run and fight? after and injury that should have left them unconscious or dying? Did it take you out of the moment? Today marks not only the start of a hopeful new year, but also the release of Book #2 of The Futhark Chronicles. Beyond the Gate is now available from ebook retailers and by the end of the month will hopefully also be released in print. This novel picks up only a few moments from the cliff hanger ending of The Keepers of Sulbreth. 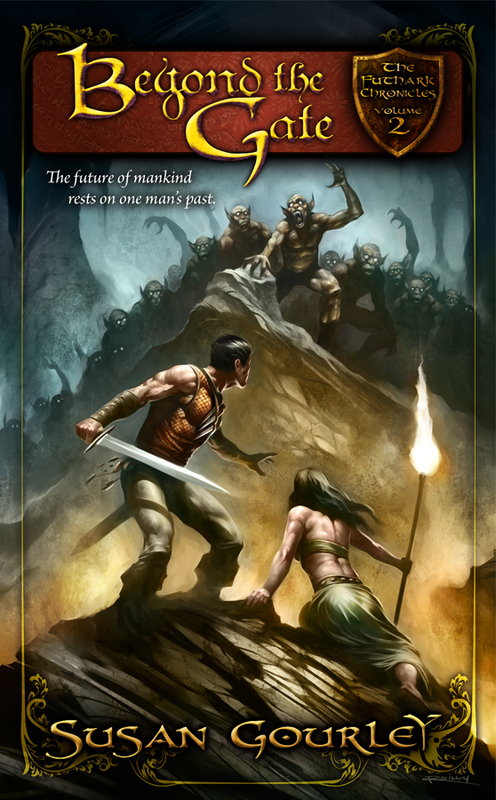 Futhark is the fantasy world where this epic series takes place. Marshal Cage Stone the sorceress he protects, Keeper Sabelline Shelton, have taken the first steps inside the cavern where the magical seals keeping the demon hordes from their kingdom have weakened. Their plan is simple though dangerous. But nothing is as it should be. They find mysteries linking their present difficulties with a long ago war and evil they thought long buried. 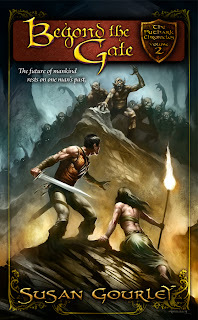 Cage must let go of his human inhibitions and connect with his heritage if they are to survive and help their beleaguered friends save Futhark. Please join me one week from now when I start a mini blog tour including a top here on The Susquehanna Writers after it begins on my blog. So Happy New Year and here's wishing you lots of new books to read. What new book is first on your list and are you trying any new to you author?